Indian statute applies different rules to marriage and divorce, depending on the parties’ personal circumstances. For example, the Hindu Marriage Act governs marriage between Hindus; the Muslim marriages Ordinance between Muslims. India also has specific legislation in respect of dowries and domestic violence. It is common for claims relating to alleged domestic violence to be accompanied by a claim for a large sum of money. We have particular expertise in dealing with such issues concerning parties who have connections to England and Wales. 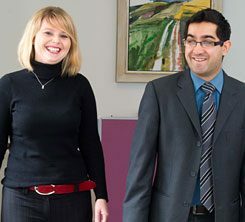 We are specialist international divorce lawyers and family solicitors and we have advised numerous clients who are either UK-based but originate from India, or are living outside of the UK but have a connection with England or Wales.